General objective of this report is to analysis Marketing Research Report on Unilever Bangladesh. Today Unilever is amongst the popular companies allover the entire world with their best high quality of products. They always focus on customer care and want to give their products best position available in the market. They are also continuously analyzing the market industry share, PLC stage, segmentation degree, target people and market position. We have conducted our study in the soap category of Unilever, which include Lux and Lifebuoy. We have given on illustration of all the marketing concepts for the convenience of the record. The number of individual products produced or sold by an organization. The mix is defined by the industry and manufacturing environment, and management strategies that position the company as a specialty, niche or broad-based supplier of goods and services. Instances where the product mix varies widely from period to period often requires more investment in facilities and inventory, and may result in lower levels of customer service. A group of products marketed by an organization to one general market. The products have some characteristics, customers and uses in common and may also share technologies, distribution channels, prices, services and other elements of the marketing mix. A process by which an insurer divides its general account investments into distinct parts, or segments, that correspond with each of the insurer’s major lines of business. For example, one segment can be used to account for group life insurance investments, while another can be used to account for individual life insurance investments. Division of the market or population into subgroups with similar motivations. Widely used bases for segmenting include geographic differences, personality differences, demographic differences, use of product differences, and psychographic differences. The process of identifying the specific needs of segments, selecting one or more of these segments as a target, and developing marketing programs and ad campaigns directed towards each. In marketing, positioning is the technique by which marketers try to create an image or identity for a product, brand, or organization. It is the ‘place’ a product occupies in a given market as perceived by the target market. Positioning is something that is done in the minds of the target market. A product’s position is how potential buyers see the product. Positioning is expressed relative to the position of competitors. The concept of the product life cycle describes the four stages that a new product is thought to go through from birth to death: introduction, growth, maturity and decline. Controversy surrounds whether products go through this cycle in any predictable way. The year 1964 marked a new beginning for Kalurghat in Chittagong.It was in this year that UniLever Brothers Pakistan Ltd a subsidiary of Unilever the Anglo Dutch Consumer Goods Company, decided to establish a manufacturing unit in Kalurghat. Lever Brothers started its quest to contribute to enhance the quality of human life, not confining its mission to produce quality branded products, but also providing opportunities of employment, developing ancillary industries, protecting the environment, and propagating community development through social contributions. In 1964, Lever Brothers started producing merchandised soaps, thus ushering industrialisation in the area. Productions started off with Sunlight soap and Lifebuoy soap. Back in those days the average weekly capacity was 50 to 60 tonnes. After meeting the local demands, surplus was shipped to Pakistan. However, the political scenario was deteriorating and after a ravaging war in 1971, Bangladesh became an independent country. It was after independence that Lever Brothers Bangladesh Ltd was constituted with Unilever owning 60.75% shares and the Government of Bangladesh owning the remaining 39.25 %shares. Post liberation period evidenced accelerated growth for the company. Demand started rising and the company continued its mission to meet consumer needs by producing quality soaps, introducing Lux – the beauty soap and Wheel. Launched in 1972 Wheel entered the mechanized laundry category, traditionally dominated by cottage soaps. It appealed to the consumers with unique care benefits for hand and fabric, a generic weakness in cottage soaps. It gradually became the secret ally of Bangladeshi women by extending the caring hand to ease her daily laundry chores. The early eighties witnessed expansion of Lever Brothers Bangladesh Ltd through diversification! Calibrating direction, the mission now included enhancing quality of life through other personal products aspiring aestheticism like sparkling white teeth, fresh breath, beautiful hair, and glowing skin. A Personal Product Plant was established to manufacture shampoo, toothpaste, and skin care creams. In the early 90’s Lever Brothers entered the tea-based beverage market introducing Lipton Taaza, Lever’s flagship packet tea brand, with the objective to be the most preferred tea of the Bangladeshi consumers. The appetite to innovate and grow was insatiable. New products such as fabric washing powders were manufactured for the first time with formulations technically suitable for conditions in Bangladesh at an affordable price. Such washing powders led the country to witnessing a revolutionary change in washing habits moving from direct application to significantly convenient solution wash. Product formulations were of international standard and by tapping into the vast know-how base of the parent Company – Unilever, Lever Brothers was able to make the products available to the consumers at an affordable price. The growth of the company provided ample employment opportunities both direct and secondary with attendant fillip to the economy of the country. Focused on meeting and responding to the needs of our consumers in Bangladesh, the journey to grow and the quest for excellence continue unabated! We have conducted our study on the products of Unilever. Unilever is a company whose product mix is very wide as is illustrated in Page 1. Since they have so many product lines it is not possible to look into all these lines within such a short span of time. Henceforth, we have decided to do our report on only one product line, which is the soap category of Unilever. Now our analysis on the soap category of Unilever will be slightly different from the analysis done on any other company. Unilever is a company which sells products of numerous brands, Unilever is not a brand itself. Thus, we have conducted our study on the two brands of soap – Lux & Lifebuoy which Unilever sells separately. We have come up with a product length and product depth for each brand. The depth of the liquid soap is made up of liquid soaps of two flavors, suitable for all skin types. Both of them are used for washing the face and hands. The Rose flavored one is pink in color and bears the sweet fragrance of a rose. The Odorless one is white in color and does not contain any fragrance. The depth of the bodywash is composed of bodywashes of two types. Both of them are used for washing the body only. The clear one is light blue in color and is suitable for people having oily or normal skin. The highly moisturized one is white in color and is suitable for people having dry skin. The depth of the bar soap is made up of 2 types of soap. Lifebuoy products are specialized for protection against germs. Both these soaps control the spread of germs. Lifebuoy: The traditional Lifebuoy which has been around for more than 40 years now is red in color and has a strong, pungent smell. It can be used by all skin types, but mainly for those who have skin problems, for the purpose of cleanliness. Lifebuoy Gold: Lifebuoy Gold has been introduced since a decade. It is also used for the purpose of cleanliness and for killing germs. However, it smells good and is white in color. It is suitable for all skin types too. There is only one kind of liquid soap of Lifebuoy. Lifebuoy: It is pink in color and smells quite good. It is used mainly for washing hands. It is used by everyone for the purpose of ensuring cleanliness and good health. 2) Lux has different soaps made of different ingredients for different skin type no other company provide so many potions to chose from. Baby wash : It is a new concept. carry image because it is particularly used only for bathing. 2) It provide people with soaps for killing germs enabling them to remain free from health problems or skin problem. Work better in killing gearm ,relive from health problem, skin problem. Lux and lifebuoy has a reasonable price everybody can buy it. Standard bar price 14 tk and 11 tk but liquid soap has high price and its not reasonable price for all. Its rate 45 tk for lifebuoy and lux 55 tk. Lux body wash also not reasonable for cause it has high précis’s cost 85 tk. They provide different soap for different skin. User : All people of all ages and gender class. Usage: Daily use, Irrespective of which class they belong to almost everyone uses. Lux has a lots of competitor in the market. Lux fight with keya,Meril,Aromatic,Breeze,Tibbat. Lux provide max benefit than other competitors. Only two competitors in our country. Lifebuoy fight with Dettol and sevlon. Symbols: People can easly recognize see their symbgol which is lux,which is lifebuoy. Introduction: When a product is newly introduced in the market and consumers are not aware of the product as yet, thus it does not face any competition. Growing: When consumers are slowly becoming aware of the product and are starting to adopt it, leading to the generation of sales of that product. Maturity: This is when a product has been around for quite some time and everyone is aware of it and appreciates it too. Most products experience very high sales when they reach the maturity stage. Products at maturity stage face serious competition from other manufacturers of the same product. Decline: This is when a product which has been in the market for long is no longer appreciated by consumers, until and unless any additional attributes are offered with it. At this stage the product loses its popularity and experiences a decline in sales. Lux is a brand which has been existing in the Bangladesh market for a very long time. However, different products of Lux are at different stages of the product lifecycle. Liquid Soap: Lux liquid soap has just been introduced shortly in the last couple of months. Hence, it is in the introduction stage as most consumers are not yet aware of it and very few people have started using it. Lifebuoy is a brand which has been around in the country since 1964. The different products of Lifebuoy are also going through different stages of the product lifecycle. Bar Soap: The red bar soap of Lifebuoy has been there for 40 years now. Over the years it was quite widely accepted. But now the rate of acceptance is decreasing day by day ever since the introduction of Lifebuoy Gold. People who previously used the red Lifebuoy have now switched to Lifebuoy Gold. The red Lifebuoy is used by a small number of people whose purchasing power is low. Hence, the traditional red Lifebuoy is in the decline stage now. Lifebuoy Gold is still in the growth stage because more and more people are still adopting it for the purpose of healthy skin. It is moving towards maturity but has not yet reached there. Liquid soap: The liquid soap has been introduced ever since the last eight years. It has been very much appreciated by consumers. It has gained wide consumer acceptance at a very fast pace. Yet, it is still in the growth stage as the rate of acceptance is increasing day by day. However, it is slowly nearing maturity too. Market segmentation refers to the process through which large markets are divided into smaller segments that can be reached more efficiently and effectively with goods and services that match their unique needs. Geographic segmentation: Segmentation based on location. Demographic segmentation: Segmentation based on demographic factors such as: age, gender, family life cycle etc. Psychographic segmentation: Segmentation based on psychographic factors such as: personality, motives, lifestyles and socio economic factors such as income and education. Behavioral segmentation: Segmentation based on behavioral factors such as: occasion, benefits, user status, usage rate and loyalty status etc. Unilever has segmented the market for Lux and Lifebuoy products in different ways for each of the products. Since soap is a product which is used everywhere by people of all ages and all genders, geographic and demographic segmentation has never been used to segment the market for the soap category of Unilever. Psychographic segmentation: The market for Lux bar soaps have been segmented based on the socio economic factor income. It has been segmented in terms of income in the sense, that Lux bar soaps have been targeted towards the middle income earning segment as each bar of Lux soap costs only Tk.14 which is easily affordable by middle income earners. Behavioral segmentation: The market for Lux bar soaps have also been segmented based on behavioral factors such as benefits. It has been segmented in terms of the benefits that each user wishes to achieve by using that product. Eg. For the segment of people who want soft and tender skin, consumers use the. White Lux with almond extracts, which locks in moisture within the skins. Another factor is loyalty status. Eg. The segment of consumers who have been using Lux for more than a few decades tend to stick to Lux, because they are comfortable using it and want to remain loyal to it. Psychographic segmentation: The market for Lux liquid soap have been segmented based on the socio economic factor income. It has been segmented in terms of income in the sense, that Lux liquid soaps have been targeted towards the higher middle class segment and the upper class segment as each container of Lux liquid soap costs within a range of Tk. 200- Tk.250, which is not easily affordable by people who fall below the higher middle class category. Behavioral segmentation: The market for Lux liquid soaps have also been segmented based on behavioral factors such as benefits. It has been segmented in terms of the benefits that each user wishes to achieve by using that product. Eg. Those who use the Pink liquid soap, are that segment of consumers who like the fragrance of rose while they wash up or take a bath. Those who use white liquid soap prefer a clean wash with an odorless liquid soap. Psychographic segmentation: The market for Lux body wash have been segmented based on the socio economic factor income. It has been segmented in terms of income in the sense, that Lux body wash has been targeted towards the higher middle class segment and the upper class segment as each container of Lux bodywash costs within a range of Tk. 180- Tk.220, which is not easily affordable by people who fall below the higher middle class category. Behavioral segmentation: The market for Lux bodywash have also been segmented based on behavioral factors such as benefits. It has been segmented in terms of the benefits that each user wishes to achieve by using that product. Eg. Those who use the blue body wash belong to that consumer segment who want their oily or normal skin to be cleaned in the best possible way while they take a bath. Those who use the white body wash belong to that consumer segment who want their dry skin to be moisturized after taking their bath. Bar soaps for the middle class and liquid soaps & body wash for the higher middle class and upper class. The market for Lux products has also been divided based on behavioral factors such as people’s preferences mentioned above. Psychographic segmentation: The market for Lifebuoy bar soaps have been segmented based on the socio economic factor income. It has been segmented in terms of income in the sense, that Lifebuoy bar soaps have been targeted towards the lower middle income earning segment as each bar of Lifebuoy soap costs as low as 9 which is affordable by the lower middle class. However Lifebuoy Gold has been targeted for the middle income class segment as each Lifebuoy Gold costs Tk. Which is appropriate for themiddle income class segment. Behavioral segmentation: The market for Lifebuoy bar soaps have also been segmented based on behavioral factors such as benefits. It has been segmented in terms of the benefits that each user wishes to achieve by using that product. The segment of people who are health conscious have a strong determination to remain free of germs use Lifebuoy bar soap. However, those who use Lifebuoy Gold belong to that consumer segment are health and skin conscious as well as prefer soaps with a good fragrance. Psychographic segmentation: The market for Lifebuoy liquid soap have been segmented based on the socio economic factor income. It has been segmented in terms of income in the sense, that Lifebuoy liquid soaps have been targeted towards the higher middle class segment and the upper class segment as each container of Lifebuoy liquid soap costs easily affordable by people who fall below the higher middle class category. Behavioral segmentation: The market for Lifebuoy liquid soaps have also been segmented based on behavioral factors such as benefits. It has been segmented in terms of the benefits that each user wishes to achieve by using that product. Eg. Those who use the Lifebuoy liquid soap belong to that consumer segment who feel that it is more hygienic to use liquid soap rather than the bar soap for washing their hands, moreover it smells good too. The red bar soap for the lower middle class and lower class , Lifebuoy Gold for the middle class. The market for Lifebuoy products has also been divided based on behavioral factors such as people’s preference to remain free of germs and free of health or skin problems. 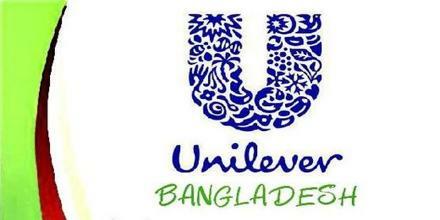 Today Unilever is one of the popular companies allover the world with their best quality of products. They always focus on customer satisfaction and want to give their products best position in the market. They are also continuously analyzing the market share, PLC stage, segmentation level, target people and market position. They have “research team” who work on product line, mix, branding, and packing in marketing strategy. For remaining target people they are showing lots of advertising and with this they will achieve higher position in the country.